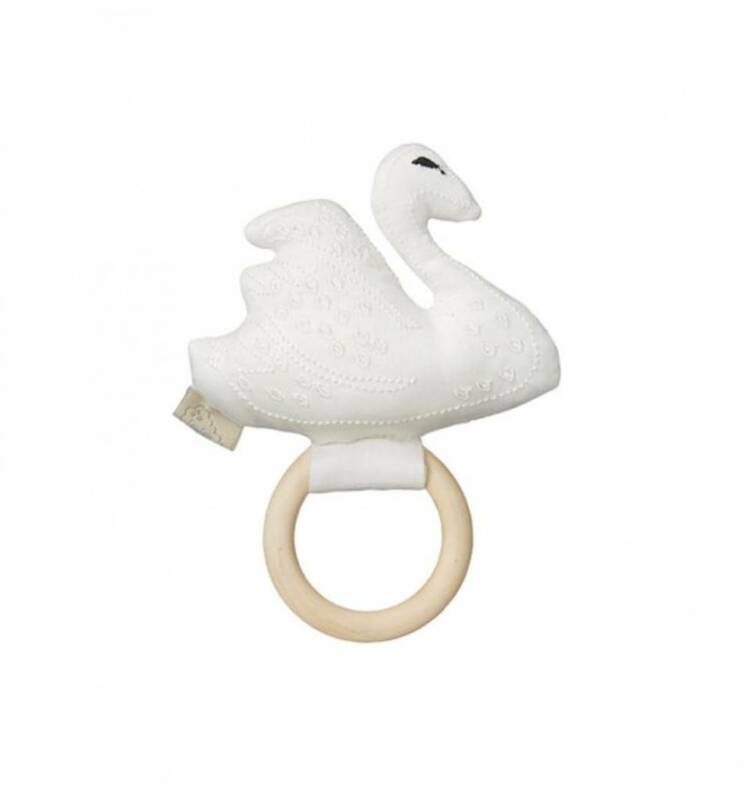 Cute handmade swan rattle for the little ones. The handmade rattle has beautiful detailed embroidery which gives the toy a delicate look. 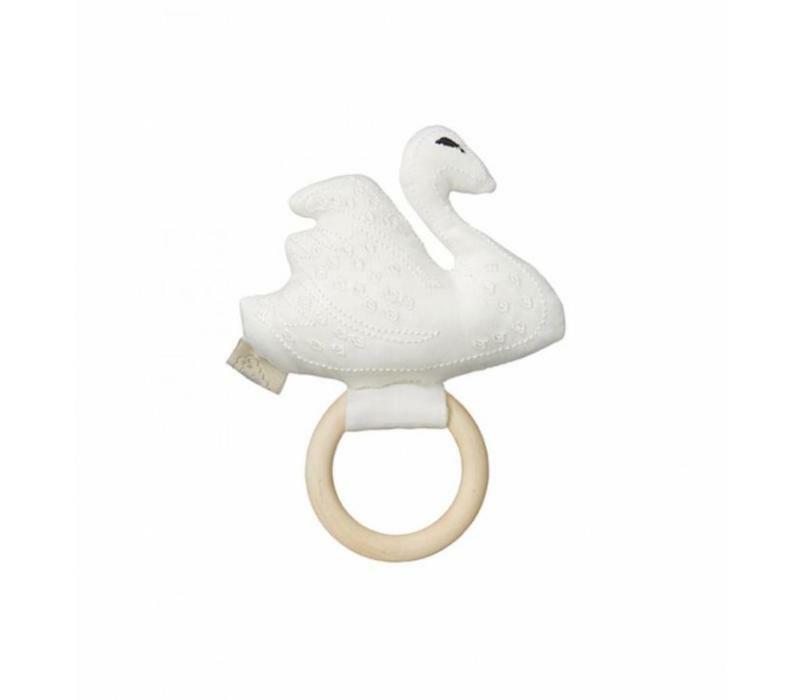 The rattle is made with a build-in wooden ring which makes it easy for the baby to hold on to it. The rattle has a small jingle bell inside. Comes in a small box, which makes it a nice gift. Since the rattle is handmade, the look may vary slightly from the picture.